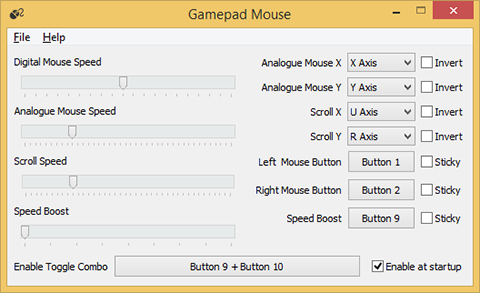 Gamepad mouse lets you use your gamepad as a mouse in Windows. Note: The download links for the Gamepad Mouse have an interstitial ad. Simply wait 5 seconds until the skip button appears. Click skip and your download should then start automatically.